This calligraphy piece was created for the Okunomatsu Sake Brewery’s commemorative line of sakes. 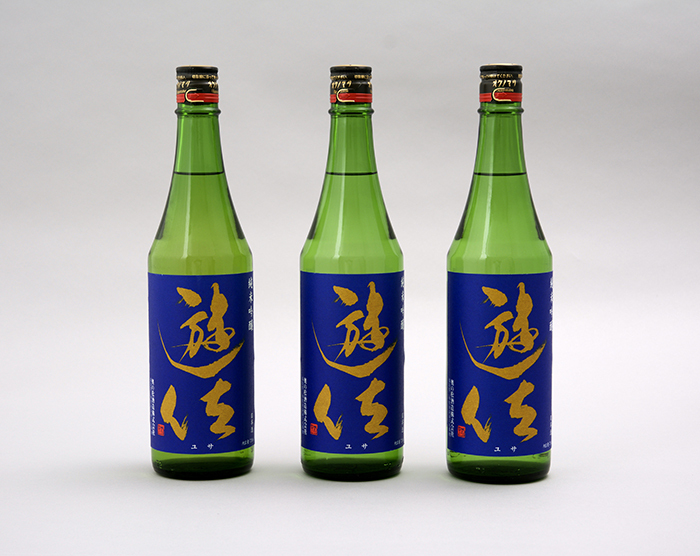 Entitled “Yusa”, this line of Sakes celebrates the three-hundredth year since the Brewery’s foundation. The brewery has endured for 19 generations, creating sakes that carry the “Yusa” family name forward into the future. For this commission, Noriko aimed to create a calligraphy piece that embodied the history, identity, and spirit of the brewer.